The mother of Antonio Neri, the 17th century glassmaker and alchemist, was named Dianora Parenti. She was the oldest of six children: three girls and three boys. She was born in Florence, on 11 February 1552, with the given name of Dora listed in the city's baptistery register. 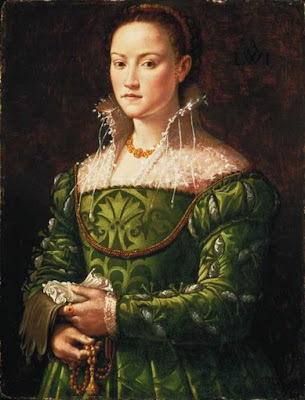 In all probability by the age of eighteen she was quite accustomed to helping her mother with the other children; Caterina, the youngest, was born less than a year before Dianora's wedding. This post first appeared on 11 September 2013.